Custom-developed ultra-low noise regulated power supply for voltage amplifier stage (VAS). Although we as quality conscious consumers would prefer to live in a world where product development is always guided by incremental, evolutionary improvement, most often it is driven by sheer economics. This year’s model is typically only a marginal variation on last year’s, in yet another thinly veiled attempt to separate the consumer from more hard-earned cash on a regular, seasonal basis. Among the few exceptions to this rule, Gryphon Audio Designs have never subscribed to the ritual of annual product roll-outs. On the contrary, you only hear from us when we have something truly new and original to say. 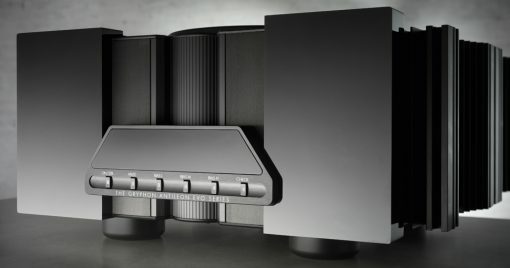 This is the simple explanation of why the Gryphon Antileon Signature (Stereo and Monoblock) Pure Class A reference power amplifiers introduced in 2000 remained available for nearly a decade and a half. 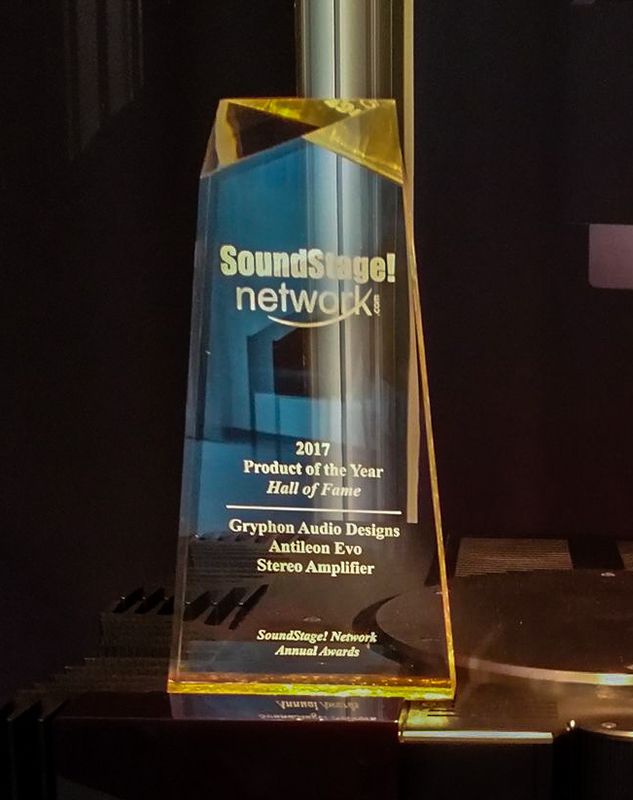 Because cynical planned obsolescence is never part of the Gryphon design concept, the Antileon Signature, like every Gryphon model, was engineered and built to remain at the forefront of audio performance for many years until we were able to offer a significant step forward. The Antileon Signature, like its predecessor, the original Antileon, was born a classic, establishing itself immediately in High End circles as one of the most acclaimed amplifiers of all time. 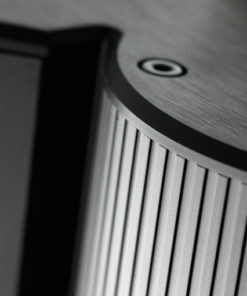 Loyal devotees around the world praise its singular ability to maintain a firm grip on even the most demanding loudspeakers and reveal the innermost soul of any musical performance. 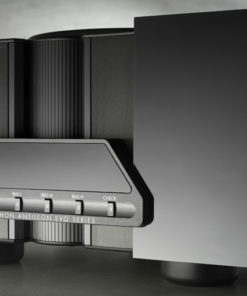 Now, the Gryphon Antileon EVO, available in stereo and single-channel configurations, takes the next evolutionary step. A long time coming and well worth the wait. All amplifiers are not created equal, even if their published specifications might suggest otherwise. The extreme high current capability of the Gryphon Antileon EVO, for instance, is something that must be experienced first-hand, not merely gleaned from a specifications sheet. The wattage (W) that an amplifier is capable of generating is in fact the mathematical product of two factors, Voltage (V) multiplied by Current measured in Amperes (A). On paper, a low-current, high-voltage amp would appear to produce the same number of Watts as a low-voltage, high current amp, but only if one does not take into account the crucial fact that the ability to generate high instantaneous current is far more critical and relevant to actual audible performance. For this reason, the Gryphon Antileon EVO, like all Gryphon amplifiers before it, is a true high current design. With exceptional peak-to-peak current capability, the Gryphon Antileon EVO ensures compatibility with even the most viciously reactive loudspeaker loads, permitting the loudspeaker of your choice to perform at its very best. Recent decades have seen concerted efforts by audio manufacturers to encourage a shift away from high-power Class A amplification in favour of newer, more “efficient” topologies with claims that they can deliver the same level of performance in a lighter, more compact and decorator-friendly form factor. The truth behind these specious allegations and the true motivation behind the promotion of lightweight amplification are very straightforward. It is an elementary exercise in cost cutting. As material costs (copper and steel in particular) skyrocket, designers under the “guidance” of corporate accountants have been skimping on the costly massive power transformers and banks of high-current capacitors that generate the reservoir of electrical power that ultimately becomes the audio signal that drives your loudspeakers. But it is the size and quality of these components that directly determine the amplifier’s performance potential. Heavily regulated, stiff power supply voltages and high current capability are crucial to achieving the control and speed that translate into musical clarity and resolution. Despite bold claims, the audio industry has not found a better way to do it, just cheaper ways to almost do it. 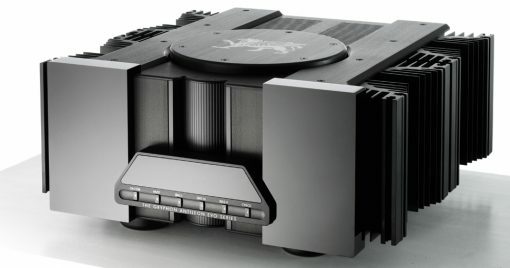 Unlike so many current models crippled by downsized power supplies and capacitor banks as designers struggle to mitigate the impact of ever-rising raw material costs, the Gryphon Antileon EVO employs pure Class A bias with full power instantaneously available at all times, regardless of the actual load. TRUE, PURE CLASS A requires heavy transformers, substantial capacitor banks, high electrical consumption, lots of heat, massive heatsinks and very, very expensive parts and manufacturing. There is no shortcut to the sheer magic of pure Class A.
Gryphon Antileon EVO employs true Class A bias for instantaneous availability of full current at all times. Gryphon rejects any biasing scheme which attempts to simulate Class A bias by switching to a higher bias level when a more dynamic signal is detected. This type of sensor can only respond after the fact, because it is not possible to adjust bias rapidly enough to accurately “track” dynamic changes in real time in music which is rich in impulses. For situations in which the full power of the Antileon EVO will not be required (a small room, undemanding music, background listening, efficient loudspeakers, etc.) the owner has the option of selecting full or reduced Class A bias via front panel controls. For a more flexible approach, when paired with a Gryphon preamplifier via Gryphon’s proprietary Green Bias Link, power amplifier bias can be adjusted automatically in relation to the position of the preamplifier’s volume control. The user always has Class A power on tap as needed at any given time with massive power reserves ready and waiting. 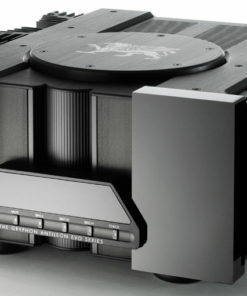 Naturally, there is a lot going on beneath the lid of a fully discrete, pure-Class A, fully balanced power amplifier with twin-tiered banks of electrolytic capacitors connected to the mains with two power switches and two detachable power cords. The twin custom-designed 1500W toroidal power supply transformers are mechanically isolated from the chassis. A special epoxy resin is used to optimise vibration damping for the transformer. For additional isolation, the shielded, epoxy-damped housing is mounted in a suspension system for effective vibration control. Apart from the shielded transformer housing, only non-magnetic materials are employed throughout the Gryphon Antileon EVO. The separate driver section incorporates its own generous, independently regulated bank of proprietary Gryphon capacitors powered from separate windings on the transformers. A unique mechanical design provides optimal thermal tracking between drivers and output devices. Bypass capacitors are placed close to the output transistors, not, as is conventionally the case, right up against the power capacitors. This contributes to significantly enhanced high frequency performance. Internal wiring is kept to an absolute minimum with only a single short length of Gryphon Guideline Reference gold-embedded silver wire. Two sets of rugged gold-plated binding posts of Gryphon’s own design are provided for bi-wiring. The multi-way proprietary terminals accept bare wire, spade lugs, banana connectors or any combination of these. The unique, non-invasive Gryphon protection system provides reliable protection with no fuses in the signal path and without compromising signal purity and simplicity. Gryphon Antileon EVO is an exceptional powerhouse amplifier that does not require the false security of sonically degrading relays in the signal path to the speaker. Gryphon Antileon EVO incorporates full diagnostic firmware, accessible at the press of a single button to run a series of tests to monitor proper operation. Acknowledging that the Gryphon EVO will be a heavy, imposing addition to any living space, Flemming E. Rasmussen, Gryphon’s founder and a trained artist and industrial desiner, has styled it to make a bold, sculptural statement that is as functional as it is elegant. Every chassis component is fitted to the next with extreme precision for a rigid, non-resonant structure, while each piece is machined to excruciatingly tight tolerances. The perforated top plate provides ventilation for added heat dissipation. The faceplate is machined out of a solid 40 mm black acrylic block that houses the LED display and the easily accessible front panel controls. 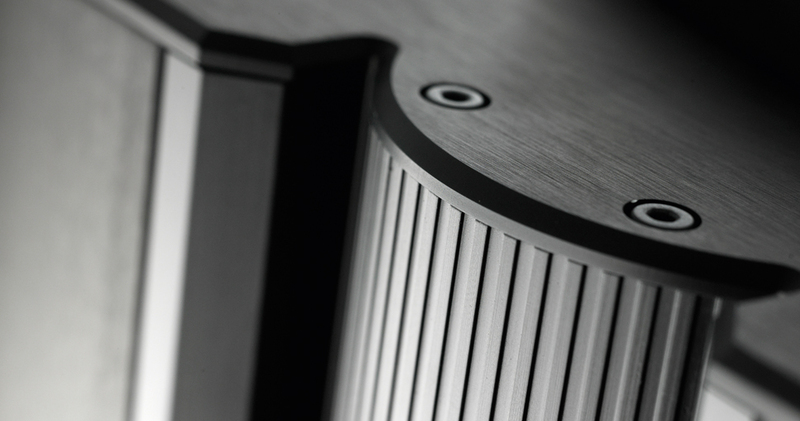 While an acrylic faceplate of this thickness is more costly than conventional aluminium, Gryphon’s artistic souls prefer it for its high gloss sheen and striking textural contrast to the amplifier’s aluminium surfaces. With the exception of the faceplate, the Antileon EVO exterior consists entirely of brushed, black anodized aluminium with countersunk Allen screws for a seamless appearance. At home in the finest interior, the battleship build quality combines with stylish, organic form to create an object of timeless beauty to match the exquisite pleasure of listening to music re-created by the Gryphon Antileon EVO power amplifier. “The sound was immersive and complete, with great depth of soundstage and an enveloping width that, together, practically surrounded my listening position. The soundstage harked back to what I remember of the Antileon Signature’s: huge, and bigger than the Music Vault itself. I was fascinated by the sheer apparent size of the sound I was hearing — it was very different from I typically hear.